Home to Duke University and Research Triangle Park, Durham is known for its world-class education, healthcare, and employment opportunities. 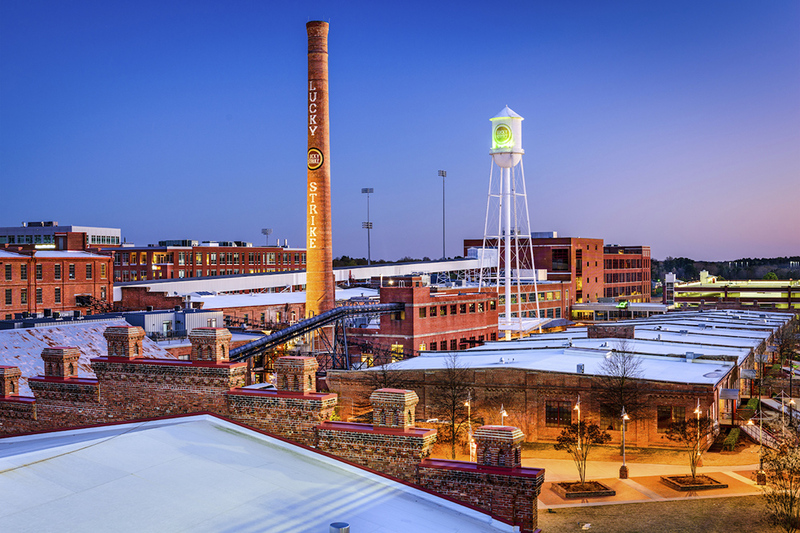 But the city’s minor-league baseball team (made famous in the 1988 movie Bull Durham), local brewing companies, and unique shopping centers are just a few of the reasons why visitors and residents alike love spending time in Durham. We’ll help you navigate the wonderful Durham homes for sale. When it comes to real estate, you’ll find no shortage of beautiful homes for sale in Durham’s sought-after communities. Take your pick of homes in country clubs, active adult communities, and luxury neighborhoods! Many of Durham’s largest employers are located in Research Triangle Park, where more than 200 science and technology companies share an innovative campus. Other top employers not on RTP’s campus include the Duke University Health System. Duke Health is a leading-edge research institution located right here in Durham! Because of the specialty treatment programs and medical research available within this healthcare system, several of Durham’s hospitals have received high rankings from US News & World Report.